We put a lot of effort into making great wine that is from somewhere special. Every Bodewell wine is made to showcase a distinct terroir. And we believe that we can make choosing our wine even easier: for every bottle sold we donate $1 to Wine To Water, a charity that provides access to clean water worldwide. Bodewell was founded to celebrate two things, the quintessential connections that affect everyone, every day: our connection to one another, and our connection to the land. Every wine we make comes from a single appellation that we think is special. You can drink Bodewell knowing that not only are you drinking a distinctive wine but that you are giving back. 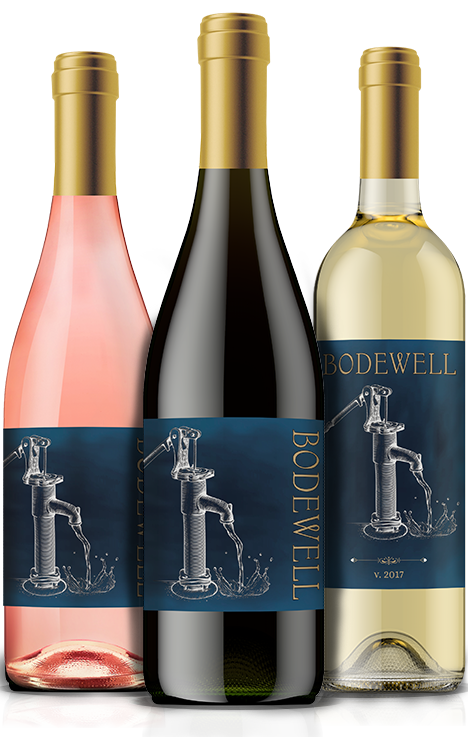 $1 from every bottle of Bodewell goes to support the charity Wine To Water as they help provide access to fresh drinking water for communities in need all around the world. As winemakers, our entire lives are lived in close communion with our land, and it's why we wanted to work with Wine To Water. We are proud to be doing what we love, and we are proud to be able to give back while doing it. By drinking Bodewell you are making a difference.